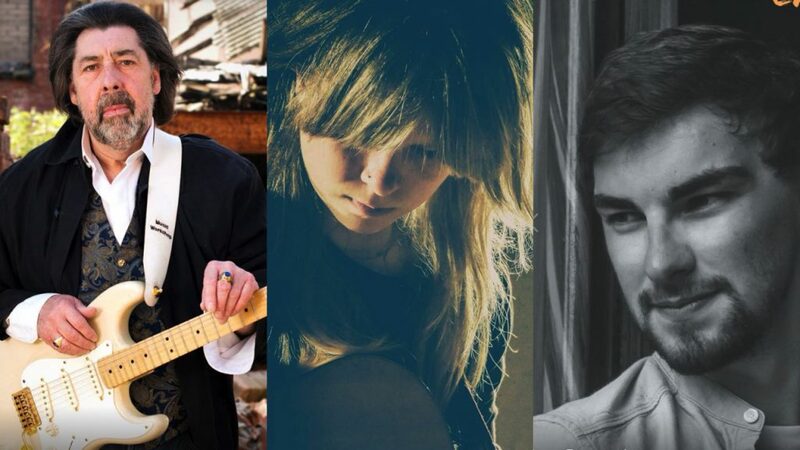 Les Nicol, Katie Spencer, and Casey Adam – all are regular Net Curtains performers. Despite us living in a seemingly ever more connected world, loneliness and the feeling of isolation are common. ‘The Loneliness Experiment’, a survey undertaken by the BBC in 2018, which was completed by 55,000 people worldwide, reported that around a third of all people of any age said they felt lonely ‘often’ or ‘very often’ (see: BBC News, 1st October 2018). A project in the city, Net Curtains, aims to tackle loneliness and isolation here. Sarah Hicks now helps to organise Net Curtains variety shows. She explained that the project was formed after one man, who has a disability, had his welfare support reduced and then found it difficult to afford to get out. He approached Mal Scott at Kardomah 94, a city-centre arts venue and cafe/restaurant, with the idea of hosting some events that might help others like him. Loneliness can be a debilitating condition. It is widely evidenced that loneliness can lead not just to poor mental health, but is also detrimental to people’s physical health too. Helping people to make fresh connections, or to try something new, can be a great way to break the monotony and impact of loneliness. It can be a really big step for some people, however, and the Net Curtains organisers and volunteers are aware of this. “But when they come, they can just sit in an audience, they don’t necessarily have to speak to anybody, they find it easy. They tell us the music lifts their spirits. Then when they’ve been a couple of times, that’s when they get the confidence to start speaking with other people,” said Sarah. “We can pay for people’s transport, to get them to the venues, if they need it and request it. Some people don’t like using their phones. So, us taking on the responsibility to get them a taxi, that helps,” Sarah added. Net Curtains has now been running for over a year. The project puts on daytime shows at various venues across the city, but has Kardomah 94 on Alfred Gelder street as its home. The shows have proved to be very popular indeed. “There were 74 at one venue, 74 people at 2pm in an afternoon. People definitely come in sort of ‘feeling like they’re feeling’ and go out laughing, smiling. And it’s the energy, especially the energy that the artists bring to it, because they’re passionate about the idea of Net Curtains, it just builds up such a great energy for each show,” said Sarah. The Net Curtains shows enjoy the support of some of the region’s finest and most popular musicians, writers, poets, and actors. Carrie Martin is a singer and songwriter, and has recorded two albums, ‘What If’ in 2014 and ‘Seductive Sky’ in 2017. She is a regular Net Curtains performer (see www.carriemartin.co.uk). Each Net Curtains event aims to be as inclusive as possible. Whilst the performers are professionals, many have performed alongside some well-known celebrities, or toured shows and plays of their own across the UK and beyond, the Net Curtains gigs aim to be informal and welcoming to all. Said said: “We’ve started putting board games out too, and packs of cards, so people can sit quietly and play games if they want to. Not everyone wants to sit and watch a show. People with autism and dementia, they don’t always want to sit in front of a stage, where all the loud noises are, it may be too noisy for them, they may want a quieter corner, but they can still be part of it. Net Curtains is in the process of becoming a charity. It has a steering group of business and community leaders that oversee its operation, and a number of volunteers. It has established itself as a pragmatic and much-loved solution to the problem of loneliness and isolation locally. “Each show is different, that’s the beauty of Net Curtains. It’s a relaxed atmosphere. What goes, goes. You see people’s confidence build and build. Everybody can be prone to loneliness. You don’t realise until you get talking to people just how detrimental it is to people and their wellbeing. It’s such a simple idea, putting a show on once a week, getting people out, but you see what it can do for them,” said Sarah. 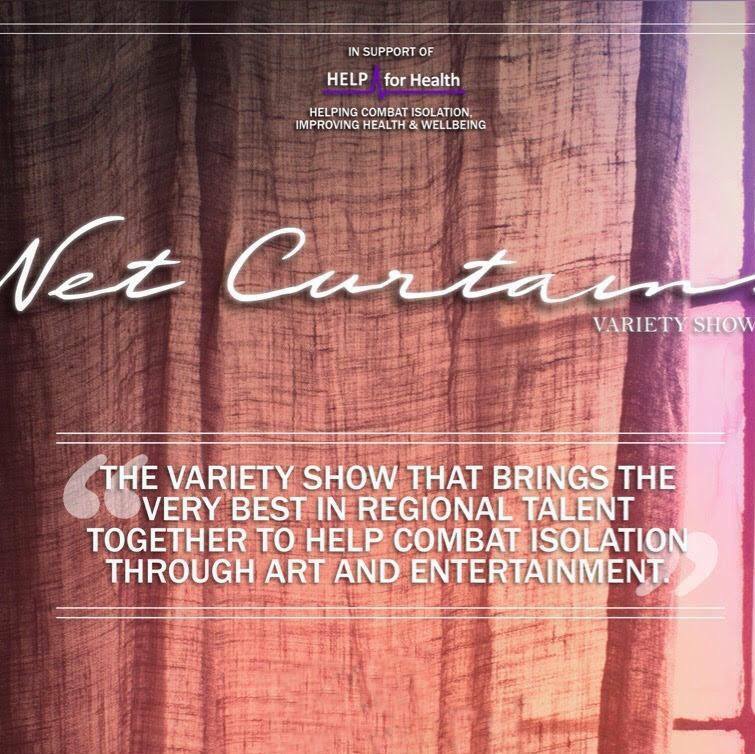 You can support Net Curtains by attending the next fundraiser, on the evening of Friday 15th February at Kardomah 94. Tickets cost £7.00. Be the first to comment on "Net Curtains tackle isolation and loneliness"